Located in the busy street of 12th Main of Indiranagar, NEVERMIND has got a whole lot of character & story to offer when you step inside. This place is carefully designed & curated by people so that we see how unique it is. Make sure you tour the place so to find the perfect space in NEVERMIND, because the seating & concept is totally appreciable. From Big tables to wall decors to Igloo style pods for small groups to enjoy the peaceful time, they got you covered for everything. They have a wide range of menu to choose from so as to cater to the taste buds of different people. Enjoyed my Pan Asian dishes from my lunch today. 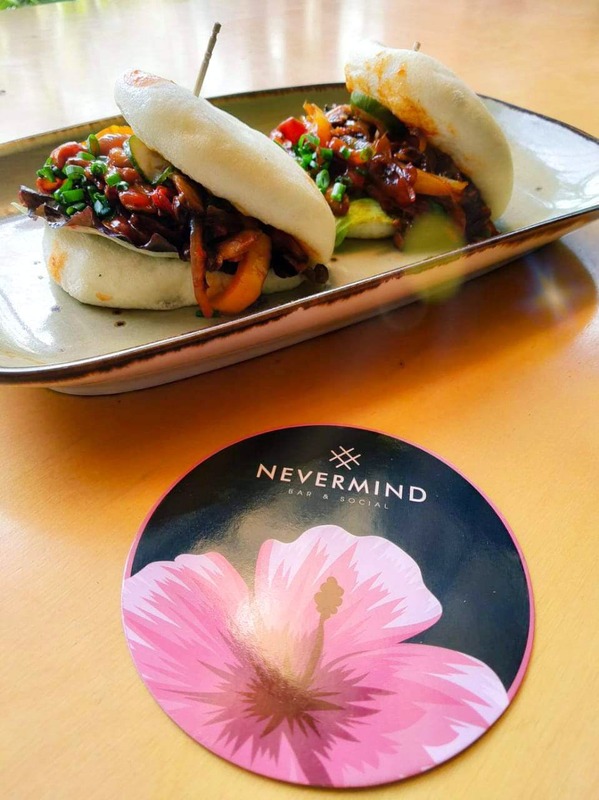 👉 Mushroom Bao: Not a big fan of Mushroom, But Oh Boy! This Mushroom Bao is the show stealer here. Order this & thank me later! It's juicy & flavorful. Couldn't stop myself from having more than just one. Highly recommend. 👉 Chicken Bao: Always my favourite to order. As the bao buns here are soft & fresh. The bun used is so soft & fresh which elevated the taste of the dish. 👉 Chicken Dumpling: Presented in style along with sides, Steamed Chicken Chiu Chow dumplings were pretty good. 👉 Bhuna Murgh Tikka: Boneless chunks prepared with mustard oil giving the extra kick in taste. Less spicy yet super tasty! 👉 Multani Paneer Tikka: Bug chunks of paneer along with Methi, cashew along with yoghurt marinated well to give it unique taste for the dish. Enjoyed the tikka along the dips that are kept along the plate for decoration. 👉 Thai Coconut crumb Prawn: Crispy Big prawns tempura type on the plate served with spicy mayo & Thai pickle, a perfect snack to munch on without getting the hands dirty. The thin crispy tempura batter cracks well in the mouth! 👉 Coastal Prawns curry: Coconut-based prawns curry is one of the best I have had in recent times. The prawns were properly cooked as needed & the thick gravy went well with the steamed rice that is served along with it! 👉 Edamame Garlic Fried Rice: This is something new to me! Edamame soybeans tossed with burnt garlic rice was interesting to try. 👉 Banoffee Cheesecake: Ended my meal with one of the best desserts I had in recent times. This is beauty, Thanks to Chef for making this. I'm coming back for this! Highly recommended!